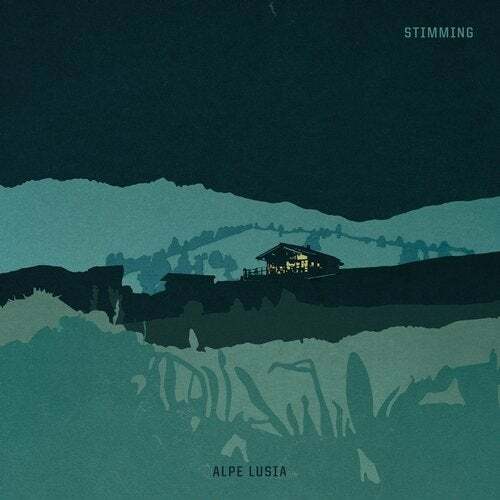 On April 29th Hamburg-based musician Stimming will release his fourth artist album "Alpe Lusia" on Diynamic Music. It was named after a remote little alpine hut in northern Italy, in which he had secluded himself to work on his LP for a full month, all by himself. What could possibly make a grown man move into a small hut in the Italian Alps and elude civilization for a whole month? In the case of electronic music artist Stimming it was the work on his fourth album, which was named after his refuge "Alpe Lusia". When asked why, Stimming responds with the constant distractions inherent in the affluent society: "When I reduce the outer impulses, I create a sort of artificial understimulation which in turn makes all my gear and equipment appear incredibly attractive again (in the way it actually deserves to be)". However, even isolation can outgrow you, because Stimming is not just Stimming, but also Martin Stimming. After two weeks spent with only cows, goats and sheep, he needed a change of scenery. Or rather, he felt the urge to consume. In order to see some human faces and civilization, he drove to the city of Bozen, which is two hours away, and returned with a newly bought perfume and newly found strength and courage. These four weeks also cast out an idea Stimming still had since his youth, which was to live as a lonesome shepherd in the Scottish Highlands. Stimming's album begins with the rippling noise of a little creek, and in a way, it is precisely that: A river, which in its course ingests further streams and by that gains force, while still remaining the same. At times powerful as a rapid, then again calm as a river bend, but always originating from the same spring. "I wanted to create something of my own, a journey that (apart from the basic House formula) orientates itself as little as possible on contemporary influences", says Stimming. If you want to rely on his many colleagues' feedback, it seems he has mastered that e.g. DJ Koze, who says: "I am amazed. Incredibly warm, stripped down, deep, playful und most of all personal! Almost as if someone sat in front of his gear while cruising on a cutter boat over the ocean all by himself (and on Ritalin)." And the cutter boat is indeed part of the story: After finishing the production of "Alpe Lusia" on the lonesome lodge, Stimming went (not without taking a short break amongst people) onto a container vessel by himself for seven days, sailing through the wintery North and Baltic Sea from Bremerhaven over northern Sweden back via Rotterdam to the starting point. Stimming used this time to single-mindedly work on his new live set in preparation and anticipation of his upcoming album release tour, which will stretch across the whole globe come April 2016. Would Stimming recommend this excursion to fellow producers? Not without preparing sufficient material and ideas: "I think starting with a blank piece of paper would be way too tough."